The Arkansas State Veterans Cemetery beautification Foundation (ASVCBF) announces their Wreaths of Honor Program. 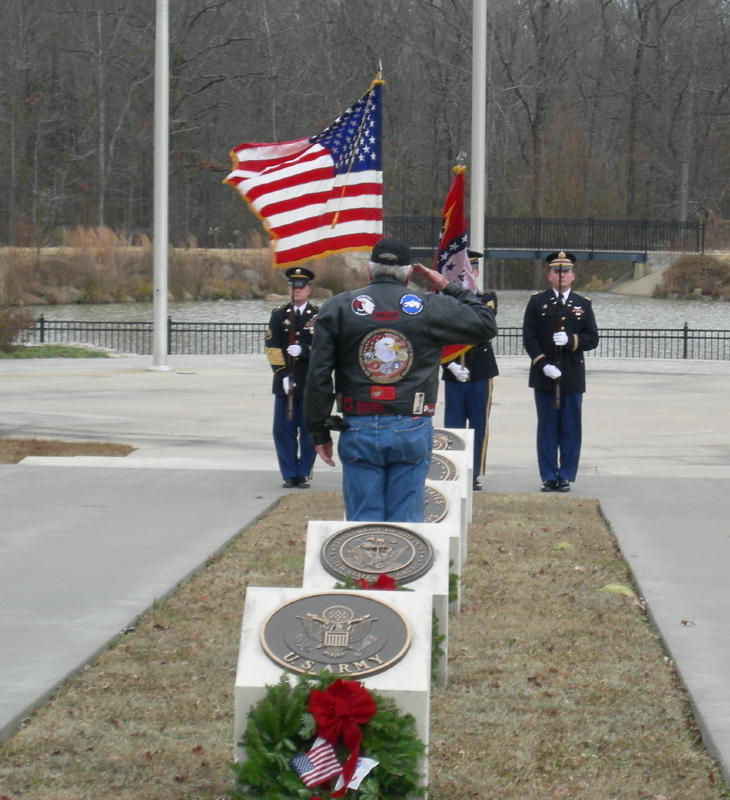 Since the Arkansas State Veterans Cemetery, located in North Little Rock, opened in November 2001, each year many local organizations joined together to create a “Wreaths Across America” Committee with their yearly goal to raise the necessary funds (approximately $94,000 in 2016) to purchase a live wreath for each deceased veteran’s grave site. From 2001 to 2015, the committee’s fundraising efforts provided them limited funds, resulting in about 100-400 live wreaths being delivered to the cemetery each year. In 2016, the Wreaths Across America Committee achieved their ultimate fundraising goal of over $94,000 which allowed them to purchase and place a live holiday wreath for each of the approximately 7,000 veterans’ grave sites within the Arkansas State Veterans Cemetery during their December Wreath Laying Ceremony. However, this year the local organizations have decided not to re-unite as a Wreaths Across America Committee which may result with many of the 8,080 individuals laid to rest within the NLR Arkansas State Veterans Cemetery with no holiday wreath at their grave site during this holiday season. So the Arkansas State Veteran Cemetery Beautification Foundation created a Wreaths of Honor subcommittee to take on the task of raising $16,000 to purchase 8,000+ faux holiday wreaths to make sure a wreath will be available to place at each grave site this year and many holiday seasons to come. The ASVCBF Wreaths of Honor subcommittee is not competing with Wreaths Across America program or their fundraisers. Every wreath purchased through the Wreaths Across America program will be placed at the requested grave site and a ceremony will be held prior to the wreaths being delivered to each requested grave site. Hopefully the success of our Wreaths of Honor fundraising will allow the ASVCBF to place a Wreath of Honor at each deceased veteran’s grave site during this and future holiday seasons. Thank you for helping us honor our deceased Veterans and their families during this and future holiday seasons. If you would like to make a donation, please mail your donation to: ASVCBF Wreaths of Honor P.O. Box 6648 Sherwood, Arkansas 72120 or simply click on the “Give Now” link at the top of this page to complete your donation online. You may also visit our “What Can You Do?” page for ideas how you or your organization can support ASVCBF this holiday season and throughout the year.